“Eternal Love” is Rolls-Royce’s latest special edition in a long string of Ghost models developed exclusively for the Chinese market. It will receive its public debut later today at the Minsheng Art Museum in Beijing before entering limited series production of only 16 units. 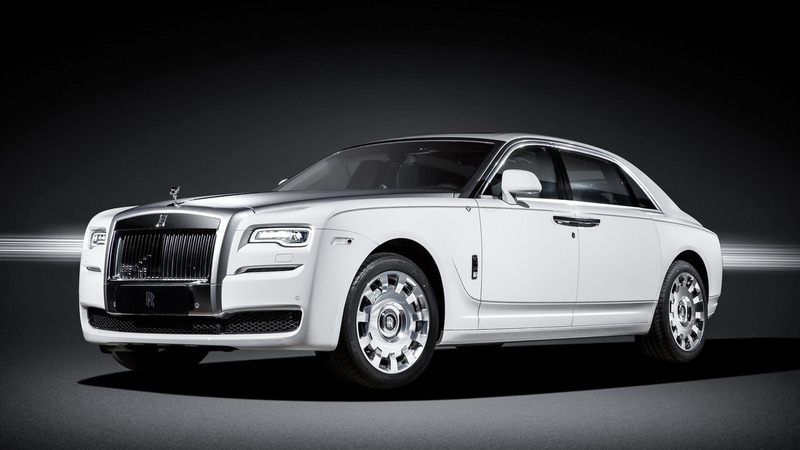 As the name suggests, the latest special Ghost is all about the celebration of love and mixes up modern design elements inspired by the white swan with the typical Rolls-Royce expertise. The vehicle wears a lovely two-tone paint combining English White with Silver Stain complemented by two swans that form a heart on the coachline. It sits on polished 20-inch forged alloy wheels and on the inside continues the love theme with a heart noticeable on the leather seatbacks. Rolls-Royce used a Hotspur Red finish to embellish the headliner, seat stitching, and the headrest embroidery, while the seats are upholstered in Seashell leather. As a special touch, the illuminated treadplates have the “Love is Eternity” lettering and there’s also a bespoke clock blending nicely with the Tudor Oak wood panel. 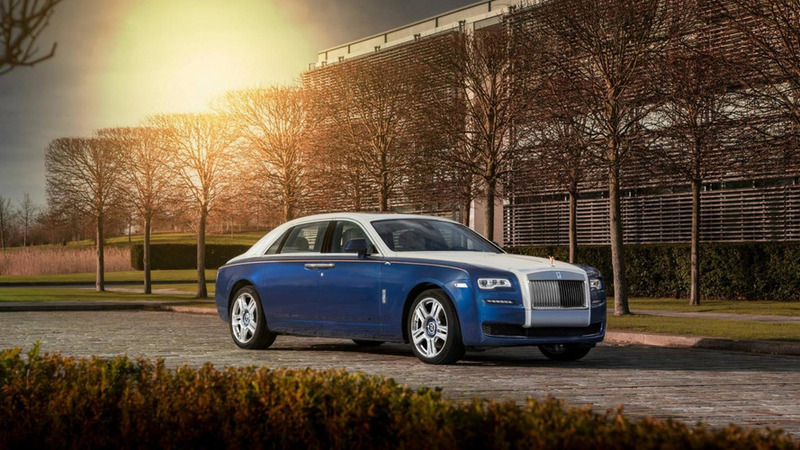 As with most Rolls-Royce special editions, the Ghost Eternal Love only adds cosmetic tweaks to celebrate a certain theme. As a consequence, the biturbo 6.6-liter V12 engine with 563 horsepower and 575 pound-feet of torque has been carried over and continues to work with an eight-speed ZF automatic transmission. There’s no word about pricing, but we wouldn’t be too surprised if most of the 16 cars are already spoken for.